The MB10 resilient wall tie is designed for a wide cavity as a structural connection that reduces airborne and impact noise passing through masonry walls and stud walls. It is particularly suitable for the discontinuous construction of masonry or stud separating walls for apartments, villas & duplexes and any specialised room that requires high acoustic isolation such as cinemas, auditoriums and recording studios. 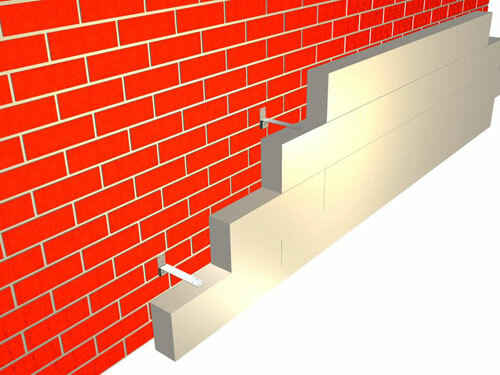 The MB10 series is suitable for connecting existing masonry or stud walls to masonry walls. When a fastener is inserted through the holes and the wall tie fixed to a masonry or stud wall, the two halves of the tie remain isolated by the uncompressed foam. This is the basis of a resilient wall tie that can transmit structural loads but acoustically isolates noise and vibration from passing through the wall. The Matrix Industries MB10 series of wide cavity resilient wall ties are based on the same principle as the MB01 standard resilient wall tie. As with the MB01 tie, they comprise two separate pieces with isolating polyurethane foam between the mating surfaces. The structural link is via a ‘U’ shaped connection locked with a metal fastener through a clearance hole in one of the halves. At all times the two parts remain vibration and acoustically isolated creating a non-rigid connection between the leaves of a wall. According to the Building Code of Australia, the MB10 wall tie is classified as a resilient type which is required for masonry walls to achieve the Rw airborne and impact sound levels for separating walls. Where a wall in a building is required to have an impact sound insulation rating under the requirements of the Building Code of Australia (BCA), such as between a bathroom, sanitary compartment, laundry or kitchen and a habitable room (other than a kitchen) in an adjoining building or unit, then for an acceptable masonry wall system, the ties are to be Matrix Industries MB10 resilient wall ties and the wall is deemed to be of discontinuous construction. An acceptable form of construction: Two leaves of 110mm clay brick masonry, min 50mm cavity, Matrix Industries MB10 resilient wall ties and either 50mm of suitable cavity insulation or 13mm cement render to each outside face will achieve Rw + Ctr not less than 50 and discontinuous construction. The MB10 series of resilient ties are rated as a heavy duty wall tie. They can transfer a maximum of 1kN lateral load at 5 mm deflection in both compression and tension. The performance of the tie is limited to the size of the fastener attaching one end to a wall or column. Depending on the spacing and load, one or two fasteners may be required. Two pre-punched 4 mm holes are provided for nails or screws, two pre-punched 6.5 mm holes are provided for masonry anchors. Matrix recommends Shuredrive 6 x 30 mm masonry anchors, available separately. 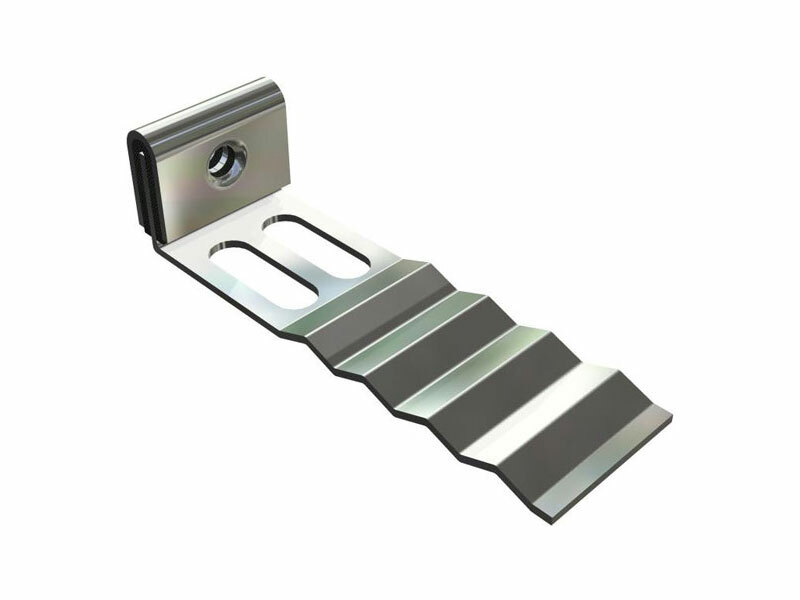 The MB10 series of resilient wall ties are available in either galvanised or stainless steel. The level of corrosion protection will depend if the wall is an internal separating wall or external wall and the distance for the coast. Matrix recommends that all ties within 10 km of the coast be stainless steel. Specification e.g. MB10SS250 The first two letters refers to the tail of the tie: MB series ties are ribbed for engagement in a mortar joint. SB series are punched with holes to suit Hebel blocks or attaching to stud walls. GA: galvanised, SS: Stainless Steel 200, 250, 300, 350 & 400 refer to the overall length of the tie.